Agents sometimes run into problems when taking a listing because the Seller is aware of a defect and does not want the Agent to disclose the defect. The problem is that the obligations of Sellers are not the same as the Agent. The Agents have a broader duty of disclosure than do the Sellers. Agents, under the regulations pursuant to your Code of Ethics are obliged to disclose material facts relating to the property. 2. A murder or suicide occurred at the property. 4. There are reports that the property is haunted. 5. A former grow-op which has been remediated according to the local health or building authority. 2. To disclose a latent defect that renders the premises dangerous in themselves. 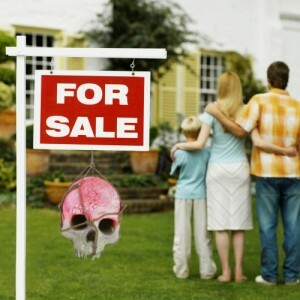 The courts have held that Sellers do not have to disclose a death, suicide or murder in the house. A grow-op, haunted house, or murdererâ€™s house, such as Paul Bernardoâ€™s house (although now demolished), would not require disclosure by the Seller, but certainly by the Agent. In the past, the principle followed by the courts was â€œbuyer beware.â€ The problem with â€˜stigmatizationâ€™ by definition, it is ephemeral (in the eyes of the Buyers), and their subjective personal preferences. Agents face a difficult decision in this situation; whether to take the listing or not. If the listing is taken the Agent can face a disciplinary hearing before RECO, if there is non-disclosure of the defect. If the Agent discloses the defect, he or she could face a law suit by their client for breach of their fiduciary duty to the client.Â Â In the RECO v Rybitsky, the failure by the Agent to disclose a previous grow-op that had been remediated, led to a fine of $11,000.00 for breach of the Code of Ethics. Where this gets tricky is where it is a matter of degree, such as insect or mice infestation. How bad are the bugs and mice? Have efforts to clean up failed? Does it create a contingency health hazard? Agents could lose the deal but disclosure is preferable to a disciplinary hearing. Knowledge is Power, which results in more business! If you have any questions or concerns, please feel free to contact us at your convenience. If you have any suggestions for future topics please let us know. Watch for more Travers Tidbits to follow each month! Property Tax Assessments – Who Pays? The Obligation of Disclosure in Agreements of Purchase and Sale (APS) …and The Case Of Marijuana!